I’ve heard, “It’s okay. My dog is friendly. She won’t bite” probably a thousand times! The truth is, dogs can sense when you are afraid, nervous or unsure about the situation. When a dog perceives these feelings as a danger it will often become defensive. When you stay relaxed around unfamiliar dogs you may actually be avoiding dog attacks. 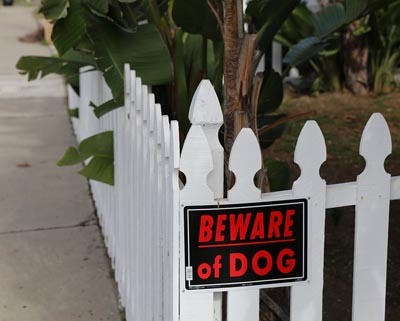 These tips will help you in avoiding dog attacks around strange and unfamiliar dogs. Never approach a dog you are not familiar with unless it’s owner tells you that it’s ok.
Use extra caution around a dog that is eating or drinking. Do not approach or attempt to pet it. Owners should teach their dog not to be protective of anything. However, they can still be very protective of their toys. Therefore it is always best to assume the dog will try to protect them. Sleeping dogs can be startled easily and as a result they may become defensive or even bite. The old adage “Let Sleeping Dogs Lie” is probably the best advice. Never entry into an unfamiliar dog’s territory. A dog’s natural instinct is to defend it’s territory. Taking extra care around dog’s you don’t know is always a good idea. Make sure that the owner is present before you approch. When possible meet the dog in a neutral environment (outside the home is best). Dogs read your body language first. If the dog is reactive approach it sideways or with your back slightly toward them. Dogs do not react well to being stared at or towered over. This can be perceived as a sign of being dominated. Even being “leaned in on” or having a hand coming down from above can trigger aggression. Children and dogs are a great combination. However, they should never be allowed to play together unattended. This is a potential recipe for disaster. Infants and youngsters must have responsible adult supervision when playing with dogs. When a dog’s tail gets pulled or a paw gets stepping on it is impossible to know exactly how the dog will react. When a responsible adult is present, any unwanted behavior can be quickly correctly. Proper adult supervision will help to avoid serious and even fatalities accidents. Dogs are a great addition to the family, But they are not human. They do not rationalize. They only react. Your dog’s body language tells you what it is feeling. Recognizing when your dog is unhappy, upset, aggressive, nervous, territorial or possessive is important. It will help you avoid dog attacks in your home or when you are out in public. Many owners feel that they know all about canine behavior and body language. But it turns out that most still have a lot to learn when it comes down to controlling everyday situations. As a responsible dog owner, you must take the necessary time to learn and understand your obligations and responsibilities. Dog ownership is a privilege that can not be taken lightly. Do not allow your dog to jump up on others. While most people like dogs, they may not like it if your dog damages their clothing or knocks them to the ground. Likewise, some people are afraid of dogs. Your dog may only be “playing” or “being friendly” and in most cases it wouldn’t hurt anyone. But as mentioned above your dog can “sense” fear. If it does, it may see it as a threat and could bite. If your dog is ever seen as a threat, it can be deamed a “Dangerous Dog” and can be taken away from you and even euthenized. While in public your dog MUST always be under your complete control either by using physical restraint or voice commands. If your dog bites someone, it’s your fault. Your dog might also run away from you. If it does, it could be hit by a car and be fatally injured. Your dog’s life is as much your responsibility as having a child. Don’t wait until an accident happens. Failing to be able to control your dog is nothing to be ashamed or embarrassed about! It happens. You just need to get some help from an experienced dog trainer or behaviorist. 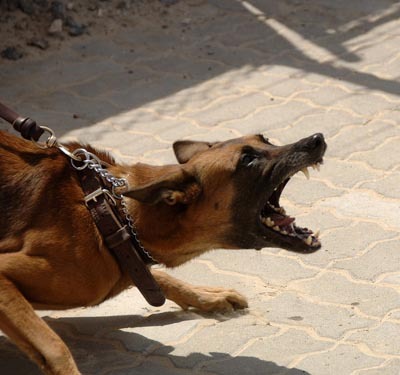 Remember, these tips can help decrease and even eliminate needless dog attacks. If everyone follows these tips, it will go a long way toward doing it without needlessly killing dogs that are thought to be viscous or dangerous.